As to my own personal insecurity, well, it centers around time. I worry that with all of my other life responsibilities I’m giving my novel short shrift, and in doing so, I’m limiting the possibility of the story developing into what I originally envisioned. I’m been working on my book for over a year now, and I’ve made great strides, but I want more. I want the book to meet my own personal expectations, and, hopefully, find an audience someday. Can that happen if it’s being written in small snatches of time? Will it? That’s how I wrote my first book. And rewrote it. And rewrote it. And I’m still rewriting in snatches of time. I think you have more time than I do to finish, at least age wise. I’m hearing that from a number of writers. I guess all of us write when we can, and the when is oten snatches of time. I heard a speech from a very successful published author last night, and she mentioned the same thing about her first couple of books. It’s heartening to hear that my experience is the rule and not the exception. Guess I’ll put my big-girl pants on and accept that it’s worth the perseverence it’ll take. You are such a doll for reminding me to post. I was super busy, but I will post a catch-up entry in the next few days. 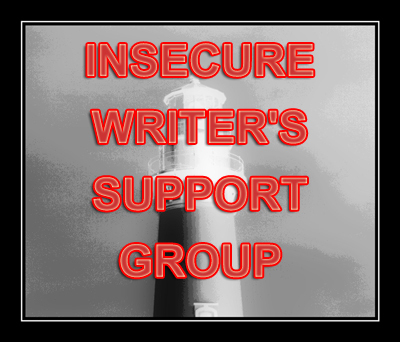 Recipricating your visit to my own blog via IWSG. And although I share some of your time fears, I don’t see why you can’t make it happen. There are so many published authors out there that wrote their books late at night, or in small smatterings between other responsibilities. You can and will do it. I think as long as you are consistent it doesn’t matter how long it takes. Even if you make the goal to just write 100 words a day! Because I always found taking breaks is what really stunts my writing and makes it so much harder to get in the flow again. So, don’t be too hard on yourself, as long as you are writing and making progress you are doing great. Just popping by from the IWSG. Time is such an issue. It’s great to meet you. I’m a new follower from the IWSG. We all do the best we can. I had four very active children at home when I started writing. I stayed up late at night and wrote on lunch breaks at work. Good luck. Yup, like that said about, we all have this fear, spreading ourselves thin, not putting enough time where we feel it’s needed. My IWSG last month was actually on this subject. Even with snatches of time, it is possible, if more challenging. You can do it! I have no excuses and I still can’t seem to find the time. But I find time to eat and watch Murdock Mysteries on CBC. Hi Kim. Happy IWSG! Oh, eating and watching TV are great ways to burn time. I must admit some days I don’t make progress because I’m doing both of those things. Shhh…keep that between us. 🙂 Thanks for the post. I think this is a common worry. If you love it, you’ll keep at it, and eventually it will get done. Just look at it this way, in working the way you are at least you are not short-changing other aspects of your life. For example, I always feel guilty when I take time away from my family so that I can write. Life is all about give and take, being flexible lets you find balance- and that balance is different for every person,. I think most writers work in this fashion. I know there are people like me who are more or less out of work and so have copious amounts of time to write, but even then, life gets in the way. So as long as you are dedicated to writing a few words everyday, to thinking of the next step, the next scene, the next chapter, you’re making progress, and sooner or later, you’ll come to the end. I wish you all the luck in the world! As for me, I, too, am struggling to find the time to work on my next novel, a sequel. So you are definitely not alone. Just keep typing. You can do it. I’ve been working 2.5 years on my first book. Time is a tough one. There are some writers out there who can whip out three, four books a year. That is not me at all. For one, I work full-time. Another reason is I don’t have energy to be writing until the wee hours of the morning. And I need to have some sort of a social life. We do what we can. You’ll do great. From a fellow IWSG member! Thanks for coming back and leaving encouraging words. 🙂 I enjoyed reading your post today.